Manyu Sukta has been mentioned in oldest of scriptures, namely RigVeda. Manyu is a war god who wields thunder with which he slayed Vrtra, and Dasyu. Manyu is said to be a form of Lord Narasimha who resides in Lord Rudra. Praying Manyu is believed to bring prosperity, peace and health. 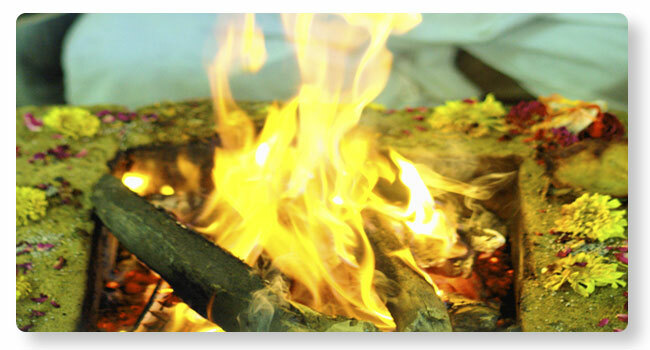 Manyu Sukta Homa is an effective tool against the six enemies of mind. This is believed to boost confidence and bring down misunderstanding and enmity.